The WSED conference adress policies, innovation and business in specialised conferences and interactive events. It connects people from business, the public sector and research and empowers them to embrace the change. What is the challenge? The new Clean Energy Package is changing Europe‘s energy markets. “Energy efficiency first” and “global leadership in renewables” are at the core of Europe’s commitment to a clean energy transition. This requires strong policies, competitive businesses, technology innovation and investments. 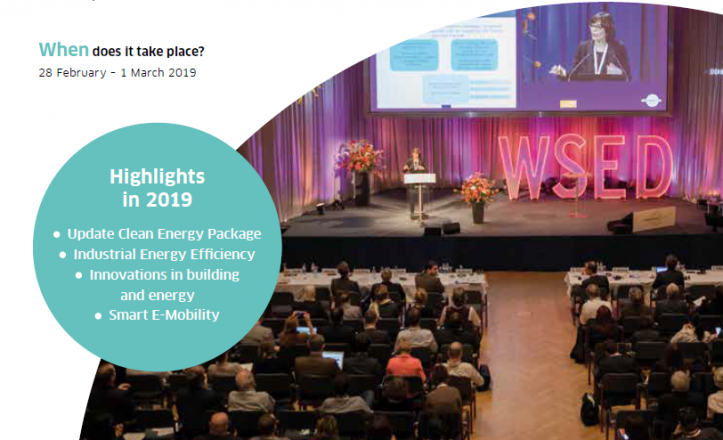 HOLISDER, with it’s objectives directed towards energy transition stability (and creating efficient Energy Management Systems enabling demand respons stabilization) is also the EU project worth of promotion within WSED 2019 programme. And we are going to use the occasion. Among numerous attractions of second event’s day (28/02/2019) there is a conference scheduled to present the holistic solution of MOEEBIUS. As this project should be treated as a base of ideas and achievements to be developed and improved within HOLISDER context, speakers of MOEEBIUS conference will not hesitate to present also the continuation of works initiated before. So for HOLISDER stakeholders and person interested in project’s progress, it would surely be the good idea to register for MOEEBIUS final conference. It’s not difficult to do it – please check this link out. During your registration process don’t forget to fulfil comment field with your remark: “Moeebius workshop”. World Sustainable Energy Days in Wels, Austria, brings together more than 650 delegates from over 60 countries from business, research community and the public sector each year . This audience ensures up-to-date information on markets, policies, technologies, financing, business models, research and case studies in the field of energy efficiency. Therefore it also create a lot of networking / matchmaking opportunities. 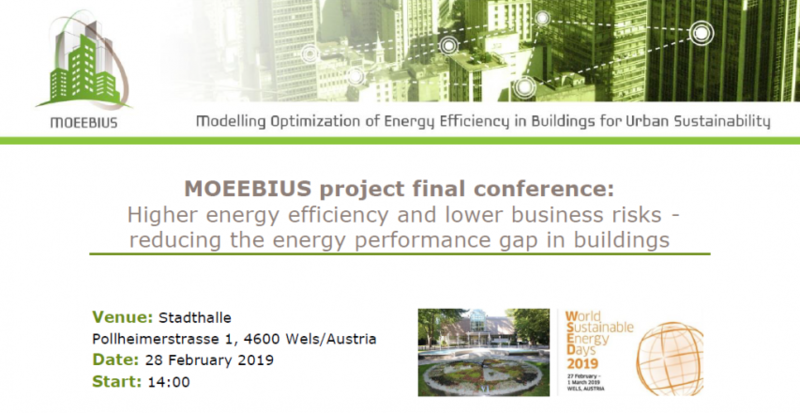 So we strongly recommend to participate the congress, as well as to attend MOEEBIUS final conference with the emphasis put also on the HOLISDER ideas presentation!